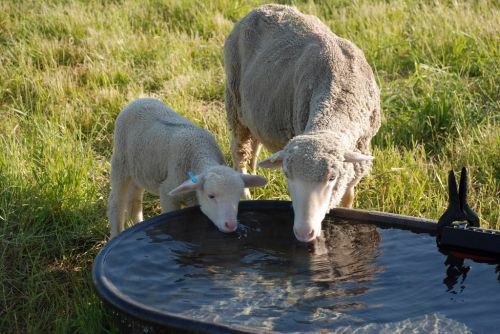 Water is essential for all livestock regardless of the time of year. So far this year we have certainly had our share of chopping ice, thawing water lines and troughs. With recent temperatures many of us often focus on keeping livestock well fed and with adequate shelter. However, often times we forget about the most important nutrient which is water. Water consumed by livestock is required for a variety of physiological functions. Some of these include proper digestion, nutrient transportation, enzymatic and chemical reactions, and regulation of body temperature. Although water is the cheapest nutrient we may purchase or provide, it is the one we provide the most of on a per pound basis. For example, every pound of dry matter consumed, cattle will need to drink about seven pounds of water. Consumption of water varies depending upon temperature, size of the animal, feed intake, mineral intake and stage of production. Lack of water consumption will affect animal performance. With colder temperatures feed intake is increased to generate body heat. Decreased water availability reduces feed intake which results in decreased body condition. This is especially important if your newborns arrive in the spring, following reduced water and feed intake which leads to poor fetal growth rates and lactation levels. To ensure adequate water intake, reports have indicated that water temperature should be 37 to 65 degrees. The rumen operates at 101-102 degrees; ingesting extremely cold water can decrease digestion until the water warms to body temperature. Be sure to monitor waterers regularly, for temperature and cleanliness. Stray voltage is another issue that should be monitored for new installations as well as established watering devises. An electrical AC current above three to four volts is enough to decrease water intake. 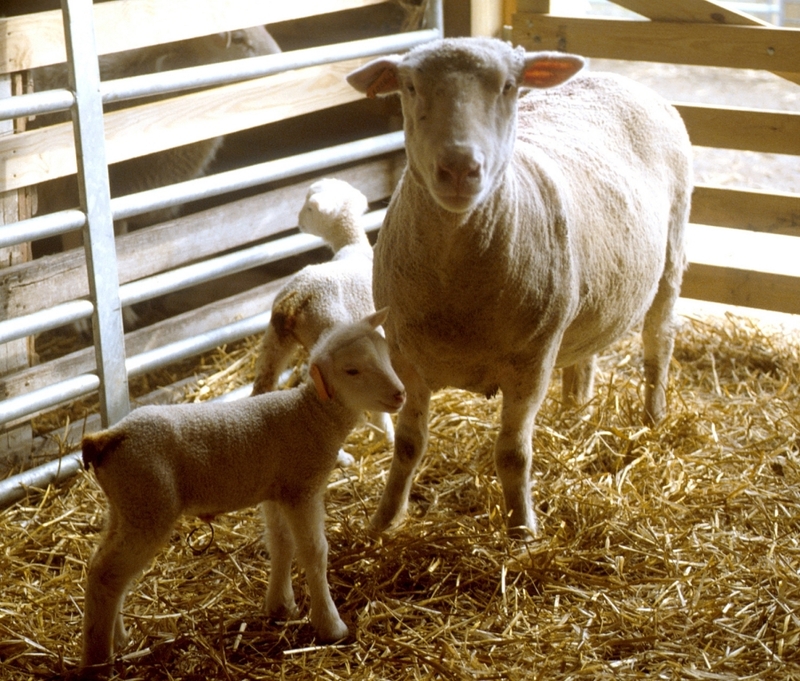 Tank heaters can be an option, but keeping electrical cords away from any contact with livestock can be an issue. For many grazing operations ponds, streams and developed springs are the primary sources of water. These may limit the areas to be grazed and where winter feeding is done depending upon how far livestock need to travel to the water source. Producers over the years have utilized technologies by installing pipelines, storage tanks and more recently the use of solar power to move water to various locations. There are numerous styles of watering designs, each have advantages and disadvantages, especially during the winter. Which style to choose depends upon many factors and you need to spend some time looking at various types and speaking with producers in your area for advice. Just a few things to consider, first what type(s) of livestock do you have or plan to add and how many animals can the waterer handle? Where do you need to place it and how is water going to be delivered? Are you going to need external heat source during the winter? How much maintenance is required and how easy is it to clean? Will your livestock need to be trained to use the system? What is the life expectancy of the waterer? And lastly of course price, but this should not be the deciding factor. A cheaper waterer that doesn’t last as long and requires more of your time to maintain will be much more expensive in the long run. If given a choice of water sources cattle do prefer to drink from a tank instead of streams or ponds. In a few studies that looked at this, cattle where given access to both with no restriction to stream or pond access. In both studies cattle preferred to drink from tanks 75 to 90 percent of the time. When cattle drink from a pond or stream the second cow normally travels farther into the water source for a cleaner drink. Good quality water is essential for livestock, regardless of the source you have. Rarely do many of us test our water on a regular basis, but it should be considered. Especially if you notice reduced water intake or refusal. Water analyses for livestock typically include total dissolved solids or salinity, pH (acid or alkaline value), nitrates, sulfates, and hardness. Bacteria can be a health concern, especially during summer months and during drought conditions. If you plan to test your water, consult your water testing lab for proper water sample collecting procedures. Until spring arrives, keep those water sources opened up and clean. Posted by Braden Campbell at 8:00am February 8, 2018 Posted in Health and tagged Health, Management, Nutrition. Bookmark the permalink.